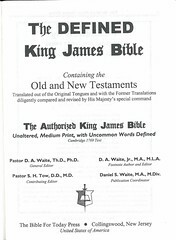 The text of the King James Bible with obscure words highlighted and defined in the footnotes. It uses the text from the 1769 Cambridge edition and does not include the Apocrypha. 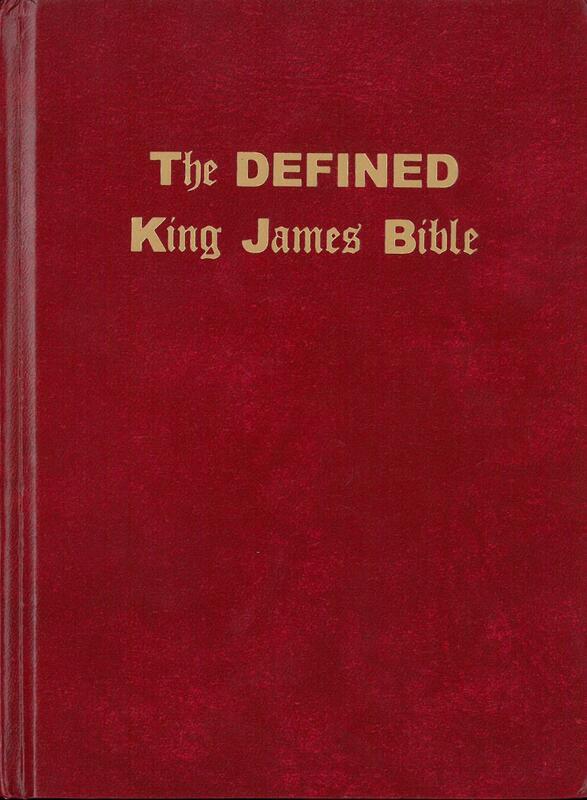 It was prepared by Pastor D. A. Waite, Th.D., Ph.D., D. A. Waite, Jr., M.A., M.L.A., Pastor S. H. Tow, D.D. M.D., Daniel S. Waite, M.A. M.Div. 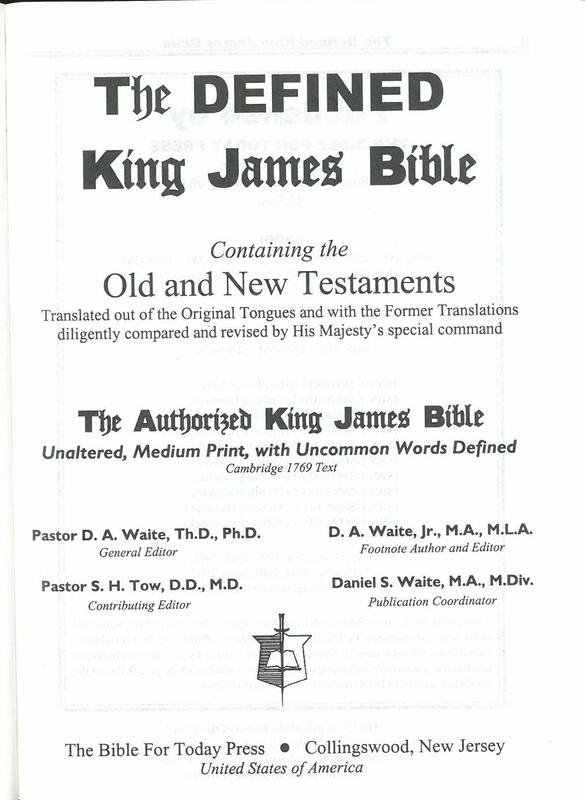 Title: The DEFINED King James Bible Containing the Old and New Testaments Translated out of the Original Tongues and with the Former Translations diligently compared and revised by His Majesty's special command. 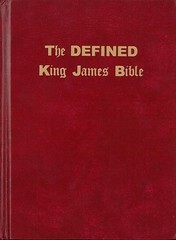 The Authorized King James Bible Unaltered, Medium Print, with Uncommon Words Defined Cambridge 1769 Text.